As we learn and more about Linux we tend to gain more expertise working on Linux command line. I’ve been working on Linux command line for last 7 years from now and learned many cool tricks that can save your time and make your life a lot easier. 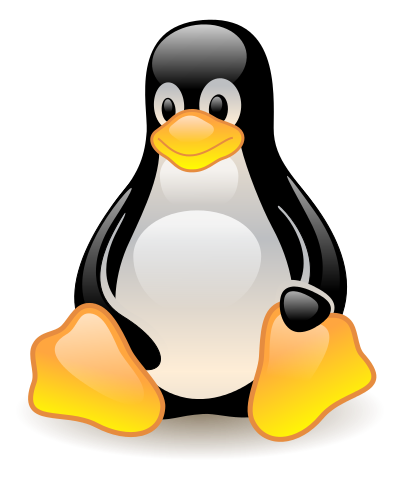 This article will cover 21 Common Linux Tips and Tricks which will hopefully benefit you. NOTE – All the examples in this article are tested on bash shell powered by Rackhansa’s Virtual Private Server. When we’re working in Linux shell environment, we’ve to switch between directories very often. Let’s suppose if you’re in directory /var/log/httpd/ and then you move to directory /home/alice/. Now you’d want to switch back to directory /var/log/httpd/. To switch back to /var/log/httpd/ by typing its complete path can be bothersome. For this we will use command “cd -” short cut. The correct method to use this short cut is first go to your directory (a) for instance /var/log/httpd/ and now type command “pwd” and then go to directory (b) for instance /home/ and now type “cd -” and it should bring you back to /var/log/httpd/. Suppose if you’re at directory (a) and then you switch to directory (b) then (c) then (d) and then (e) and now you want to go back to directory (a), then these commands will help you with this hurdle. 2. How to use !! and ! to make the history command work more efficiently ? $ echo "hi this is the command i typed last"
echo "hi this is the command i typed last"
There are few functions of “,” comma operator we can utilize to make our life easier. Comma operator can be used to either convert the whole string or only the first letter to lower case. $ phrase="My Country is GERMANY"
$ rm "map of russia.jpg"
Try `rm ./-2filenamewith.hyphen' to remove the file `-2filenamewith.hyphen'. As you can see that files with other extensions have been deleted with the following command combination. So using the command tail at the end of iptables -nL will only display last few lines of the result from this command. This usually happens when you have a directory containing huge number of files. When you do a rm -rf over it, you get something like : “Argument list too long”. This is the fastest method to delete large amount of files as it supplies input to rm command in batches to process. <’h3′ class='av-special-heading-tag 0-overwrite 0-How' itemprop="headline" >’10. 11. How we can search man pages for a particular string? *nix man pages are manual pages for *nix commands as they provide detailed and thorough instructions and information about the command whose man-page you are looking it. But, let’s suppose if you want to know which man page has the content about a particular topic. Such as, if you want to know which man pages discuss about string “windows” ? windmc (1)           - generates Windows message resources. As we can see that any man page containing string “windows” were displayed in the result. <’h3′ class='av-special-heading-tag 0-overwrite 0-More' itemprop="headline" >’12. PING google.com (173.194.113.46) 56(84) bytes of data. PING google.com (173.194.113.32) 56(84) bytes of data. 14. How to type a command and hide it to show up in the output of “history” command? Please note that there’s an extra space between “$” and “ping” but there isn’t any extra space between df and du commands, hence putting extra space before the actual command will make it hide from showing up in the history command. As it can be seen that not only “ping” command is hidden from history but also the serial number in history commands doesnt change, making that command completely stealth. And once the file is stopped (no longer in use by the system) we can then easily delete that file without any error messages. As we know that “>” operator can be used to record/save the output of a command. But we can also save the output of a command while monitoring its output in real-time as well. PING google.com (173.194.113.39) 56(84) bytes of data. 19. How to check if the command last typed was succeeded or failed? Here is an example :We can achieve this task by typing “$?” exactly right after typing the command. If the command was successful it would return “0” value. But if it failed then it will return any value other than “0” i.e. higher than “0”. 20. How to copy paste in a shell environment through keyboard? First you’d select the text to copy and then press Ctrl + SHIFT + C keys, this will copy the text. And when you’d desire to paste the copied text you’ll simply type Ctrl + SHIFT + V keys, and this will paste it. 21. How to search for all the files in the current directory containing a specific string?